Ships tomorrow if you order in the next 17 hours 28 minutes. 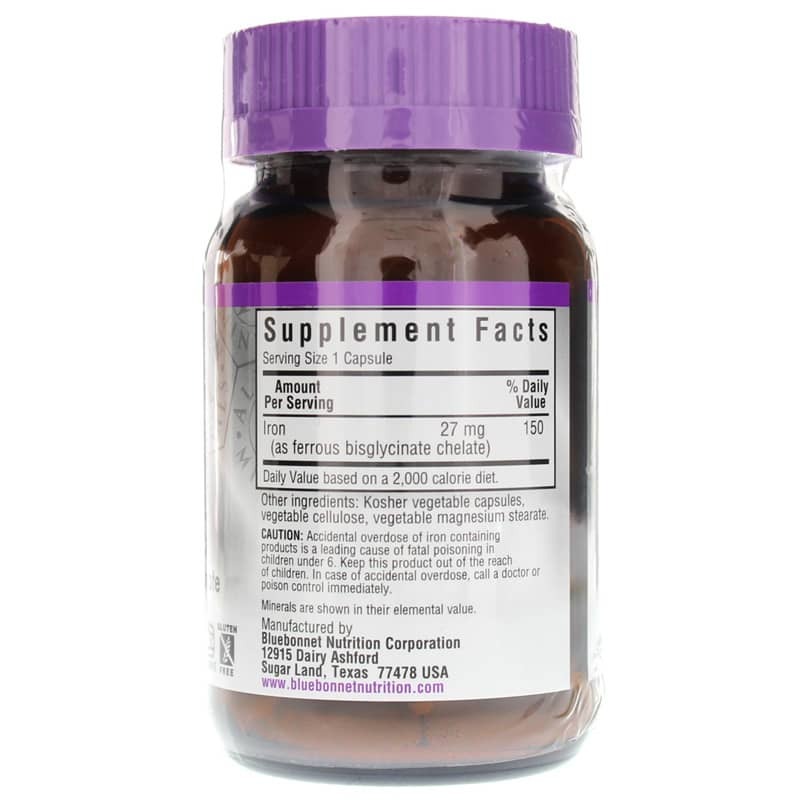 Bluebonnets Albion Chelated Iron 27mg Vcaps is a natural iron supplement that provide Ferrochel ferrous bisglycinate, a gentle, non-constipating amino acid chelated form of iron that will not cause abdominal distress, in an easy-to-swallow vegetable capsules for maximum assimilation and absorption. 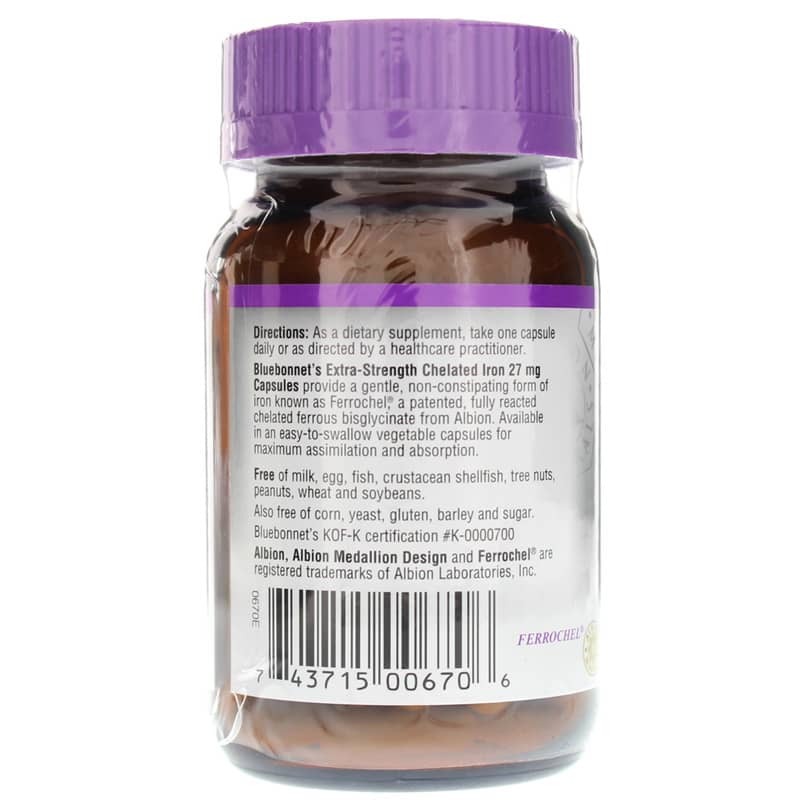 Contains NO: milk, egg, fish, crustacean shellfish, tree nuts, peanuts, wheat, soybeans, corn, yeast, gluten, barley, and sugar. Vegan. Accidental overdose of iron containing products is a leading cause of fatal poisoning in children under age 6. Keep this product out of the reach of children. In case of accidental overdose, call a doctor or poison control immediately. If you are pregnant or nursing, please consult your healthcare professional before using this product. Keep out of the reach of children. 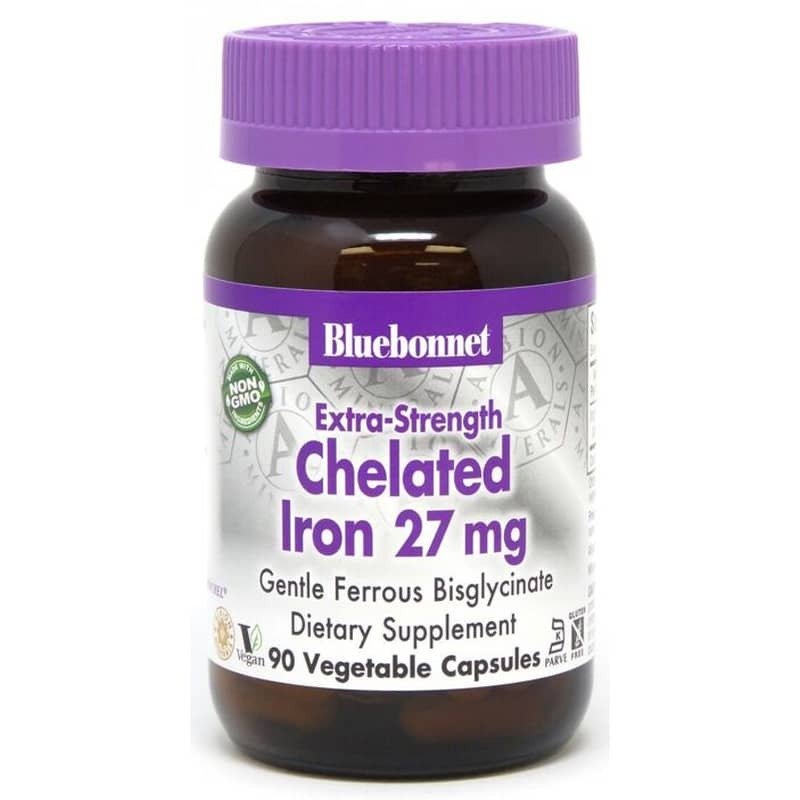 I've been taking Bluebonnet Chelated Iron for years and have found it to be gentle. It doesn't cause any back issues, which other types of iron have done.